The DDC-2512 is a proven way to supply power to third party cameras or AV equipment. 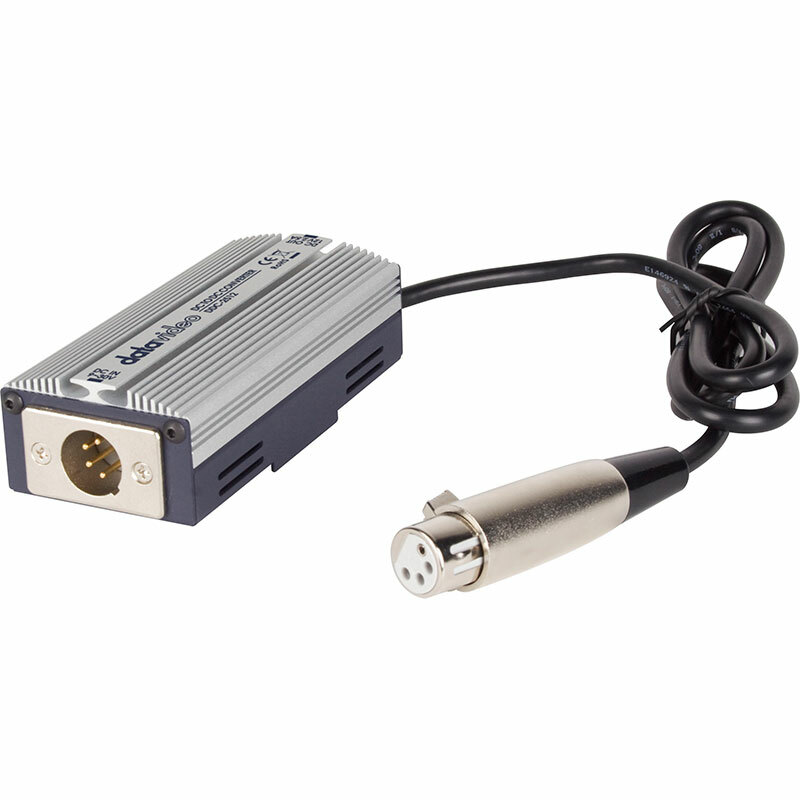 The DDC-2512 is designed to be used with the Datavideo PD-3 Power Distribution unit and CB-23 All-in-one cable. The DDC-2512 automatically accepts input voltages between 9 and 30 V DC to provide a regulated 12V DC output. The unit can allow for 4pin XLR type input connections and has a 4pin XLR type DC output connection.